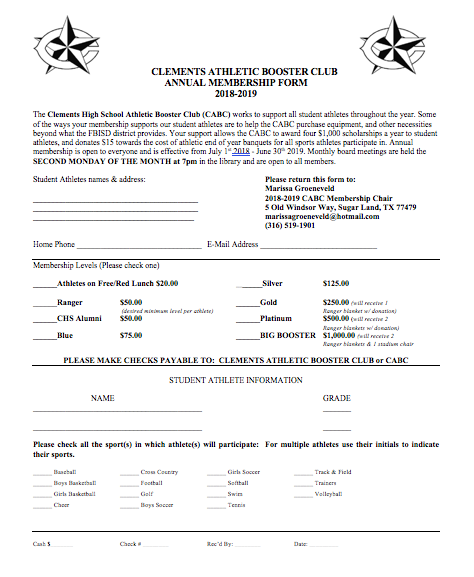 The Clements High School Athletic Booster Club works to support all student athletes throughout the year. Annual membership is open to everyone and is effective from July 1st 2018-June 30th 2019. Monthly board meetings are usually held the SECOND MONDAY OF THE MONTH at 7pm in the library and are open to all members.